Tom Cruise injuried during Mission Impossible 6 shoot recently and the filming has been delayed by up to three months. The lead star of the “Mission: Impossible” franchise need to recovers from his ankle injury. 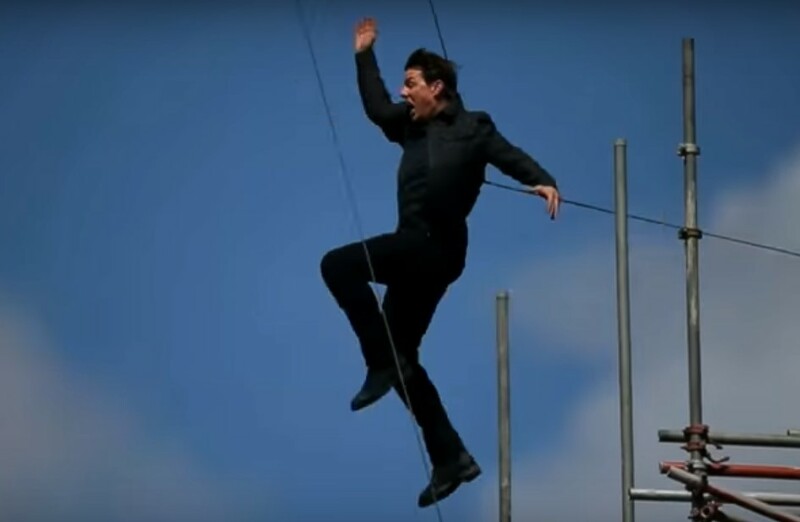 Tom Cruise is one of the actors who like to perform his own death-defying stunts. In this way, the 55-year-old actor broke his ankle while performing a stunt for Paramount’s Mission Impossible. He was injured when he performed in a stunt that he attempted a jump from one building to another with the help of cables. Unfortunately, he fell short and slammed into a opposite concrete wall. The United States press reported that the actor was left with his broken ankle after the incident while filming on Saturday at central London. Also, an video footage is currently on air. The filming of Mission: Impossible 6 will retry after the Tom’s full recovery. Though, the makers are working for its original release date that 27th July next year. According to the report by the makers, the film will opens again from September 29. Also, the original schedule of October dates have been moved back to Christmas. Along with the Tom Cruise, the co-stars of the films are Simon Pegg, Henry Cavill, Rebecca Ferguson, Angela Bassett and Alec Baldwin.